The best traditional and contemporary Japanese cuisine. It’s as close as you can get to Japan on the Las Vegas Strip. 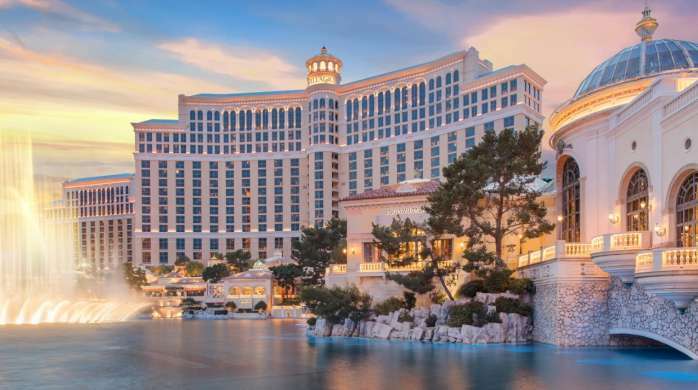 Yellowtail Japanese Restaurant & Lounge's showcases innovative dishes from traditional and contemporary Japanese cuisine, and pairs them with an abundant selection of specialty sakes and panoramic views of Bellagio's iconic Fountains of Bellagio. The centerpiece of this multi-sensory dining experience is award-winning Chef Akira Back's menu of authentic traditional and modern Japanese cuisine dishes, which includes seasonal fish and ingredients flown in daily from the finest markets and purveyors around the world, brought to your plate as sushi, sashimi, tempura, and hand rolls. 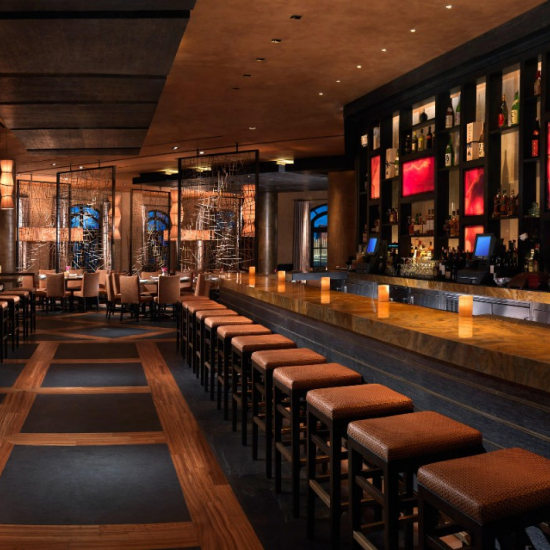 Yellowtail Japanese Restaurant & Lounge's expansive space and elegant wood and stone décor foster a vibrant atmosphere for a memorable Las Vegas evening. A 25-by-13-foot bronze wall-mounted installation of the dorsal side of the yellowtail fish greets you at the entrance, as a hint of what’s to come. 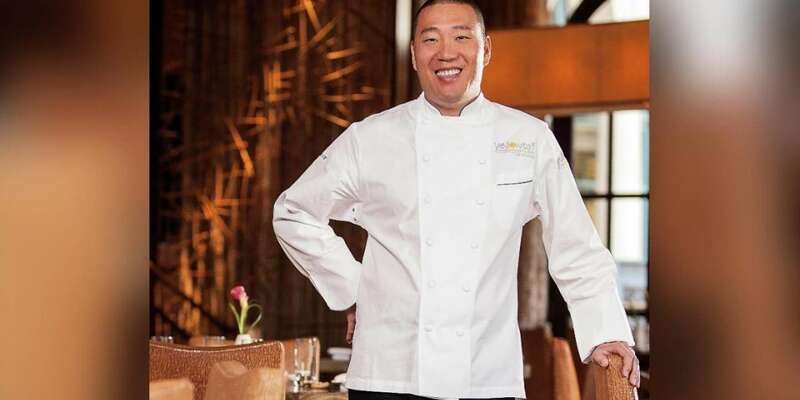 In addition to traditional raw fish preparations, Chef Back creates a selection of innovative dishes inspired by his global travels and his time spent working with industry icons such as Nobu and Morimoto. The restaurant’s hand-selected sake collection is extensive, encompassing the classic to the avant-garde and representing many prefectures from across Japan. Follow the right-hand path just past Hermes. Yellowtail will be on the right hand side just past Lago & Le Cirque. 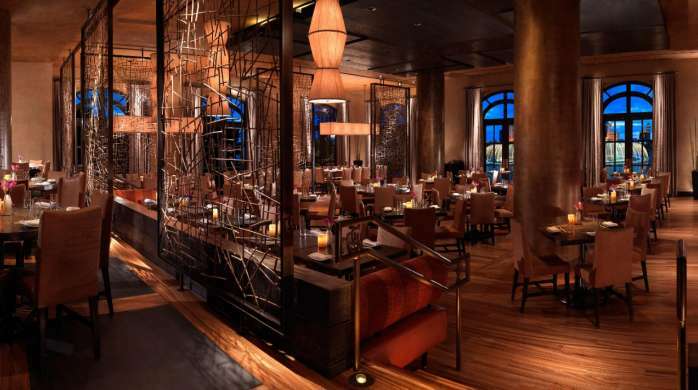 Yellowtail Japanese Restaurant & Lounge is a sensory enriching experience starting at 5:00p.m. nightly. 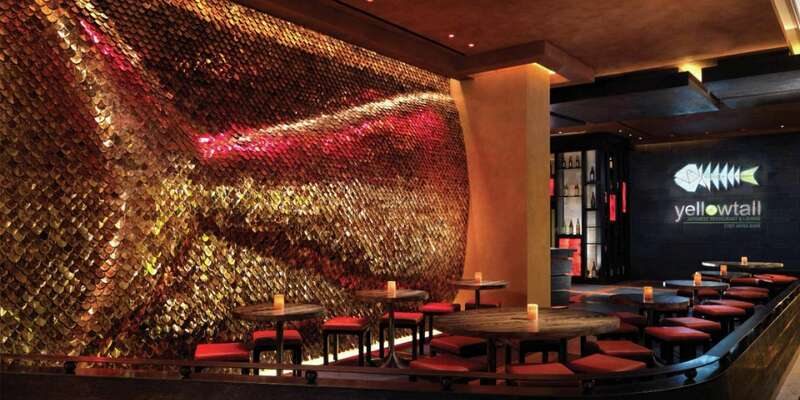 Complimenting Yellowtail Japanese Restaurant & Lounge's sumptuous cuisine, elegant wood and stone décor in the dining room and lounge foster a warm and sensual atmosphere created by the world-renowned Rockwell Group of New York City.